"Watch my trash pile, back in a sec." In comparison to most other mammals, raccoons have four to five times more sensory cells crammed into their adorably tiny front paws. This adaptation allows the animals to effectively “see” with their hands – a useful skill when trying to crack open a bird feeder or decipher the latch on a trash-can lid. The raccoon's broad diet is coupled with an equally unfussy attitude towards its living quarters. The versatile critters will happily adopt chimneys and attics over tree hollows or burrows. They have learned to dig their way beneath wooden decks or squish their flexible bodies under garage doors. Barns, sewers, abandoned cars, empty sheds: if a raccoon can fit in it, you can be sure it’ll move in. Despite attempts at keeping the ring-tailed raiders out of our homes and trash, raccoons have a shrewd ability to overcome just about everything we can throw at them. In fact, some research indicates that our efforts may actually be helping the animals become more accomplished pests. 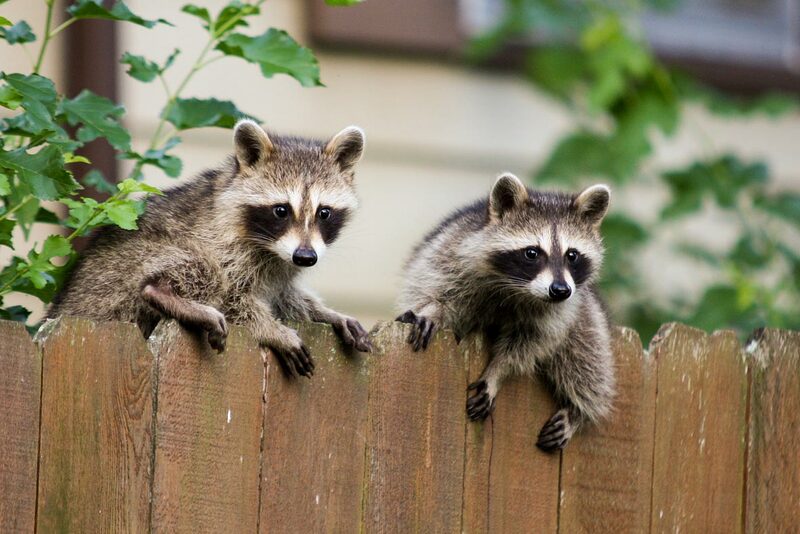 Research by Dr Suzanne MacDonald, a psychologist and biologist at Toronto's York University, reveals that urban-adapted raccoons may be smarter than rural ones as a result of being forced to regularly run a gauntlet of human-made obstacles. To test the guile of raccoons, MacDonald baited well-sealed garbage cans with cat food at various study sites scattered across the greater Toronto area. Motion-triggered cameras were set up nearby to capture footage of any nocturnal foragers. The videos showed that while rural raccoons spent their time sniffing around the bottoms of the trash cans close to where the open cat-food tins had been placed, urban raccoons focused their attention on the lids, indicating a greater awareness of how to get at the spoils. The craftiness of raccoons, then, is partly a byproduct of human attempts to deter them. We’ve unwittingly built perfect city training-camps where raccoons can test and sharpen their foraging skills. The harder we try to keep them out, the better they get at finding a way in. Clearly raccoons are packing some impressive brain power, but measuring intelligence can be a tricky task. Studies from the early 1900s ranked raccoon intellect ahead of dogs and cats and likened their smarts to that of primates – a finding that has since been supported by more recent neurological research on animal brains. Neither of the studies is entirely conclusive, however. Trying to rank animals in terms of intelligence is a bit like trying to rank sports teams in terms of skill – theres's no guarantee that the team ranked highest will ultimately lift the trophy (we're looking at you, Germany). "Replicating those early experiments is proving to be very difficult," MacDonald says. While raccoon intelligence is certainly in need of further study, working with these animals can be challenging. "They are a protected wildlife species here in Canada, can’t be kept in captivity (or a lab), carry all sorts of diseases that you’d rather not contract, and have an extremely short attention span." Despite the difficulties, MacDonald, and others, are making progress and edging closer to figuring out just how smart urban raccoons really are. For many city officials, though, clever raccoons are an unwanted presence. In Toronto – a city sometimes called the raccoon capital of the world – the anti-raccoon rhetoric is almost war-like. A research poll conducted in 2014 showed that over half of the Torontonians surveyed supported euthanasia as the best course of action to deal with the city's surging raccoon population. In 2015, when Toronto started rolling out its raccoon-proof green bins, Mayor John Tory announced that "defeat is not an option". The raccoons must not have been listening, though, as one recently pried open a green bin (albeit one that was believed to have had a faulty latch). 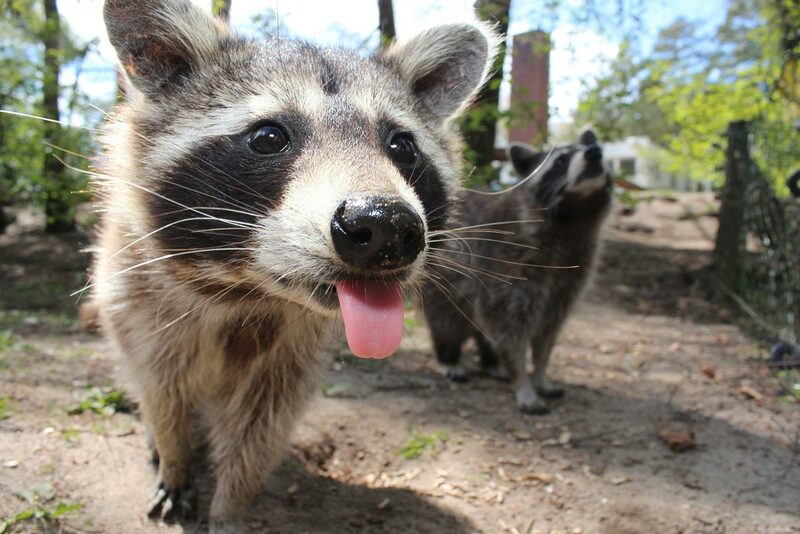 In many areas, anti-raccoon sentiment is on the rise, but it's strongly contrasted by an outpouring of admiration – often expressed on social media platforms – from fans of the endearing "trash pandas". When a particularly bold raccoon climbed 25 storeys up the face of a building in Minnesota recently, the saga was chronicled by captivated Twitter users, most of whom were rooting for the raccoon to make it safely to the top (which it did). In 2016, many trappers in Brooklyn confessed to the New York Times that they choose not to exterminate problem raccoons, despite laws that stipulate the animals must be humanely destroyed as they can spread disease. Raccoons – along with foxes, bats, groundhogs and skunks – are considered rabies vector species, which means they are more likely than other wild animals to carry the deadly virus. There have only been a handful of cases involving fatal transmission to humans from raccoon hosts, but it's a concern that adds another layer of complexity to the urban-raccoon conundrum. In a city riddled with raccoons, a rabies outbreak could be a major crisis. That is, if the super raccoons don't doom themselves through overindulgence first. In some areas an abundance of human-supplied food (often readily available in open dumpsters) is turning city raccoons into hefty slobs. Raccoon-expert Stanley Gehrt has noticed health problems related to weight gain in the Chicago populations that he has studied. Raccoon numbers may also be kept in check by viruses like canine distemper – an affliction that "ravages raccoon numbers every few years," says MacDonald who believes that urban populations will control themselves if we let them. It's unclear if uber raccoons are destined to inherit our urban landscapes, but for MacDonald, they are not the "evil geniuses" they are often portrayed to be. 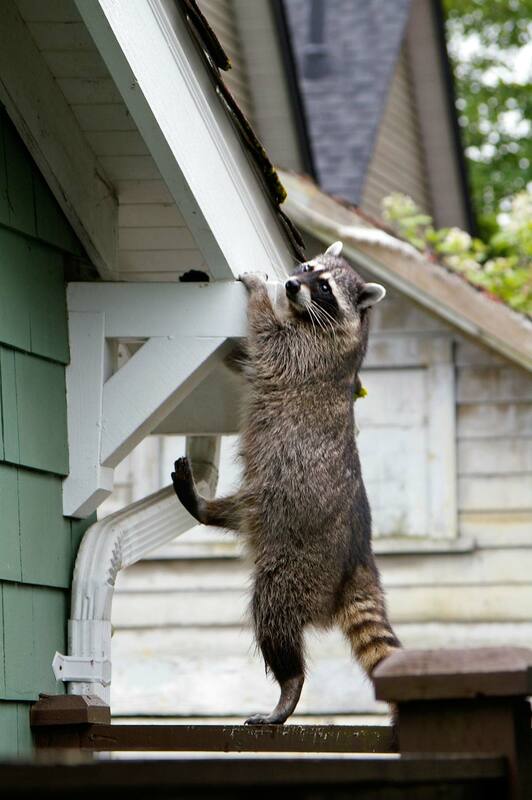 "They don’t think like humans ... when they figure out our bird feeders or how to get into our garbage cans, they have no ill intent – they are simply being raccoons. I think we are privileged to share our cities with them." One raccoon, one angry shop owner, three missing donuts.